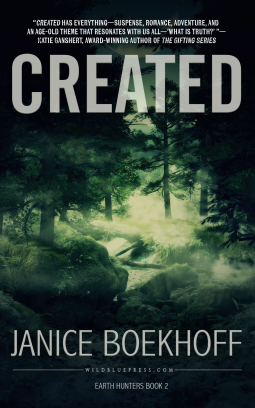 Janice Boekhoff is a former Research Geologist who pours her love of science and the outdoors into her suspense novels. Janice is a three-time finalist in the ACFW Genesis Contest. She writes from Southern Louisiana where she enjoys having only three seasons (cool, warm, and blazing hot). When she’s not writing, she’s hanging out with her amazing husband and three feisty kids or patrolling her backyard to keep her predator Vizsla (that’s a dog, in case you weren’t sure) from eating all the cute little geckos.